You can't log on to Facebook or Instagram without seeing photos of babies wearing adorable belly stickers to celebrate significant milestones (like "One month old!" and "My first word!") and sets are popping up in stores everywhere. 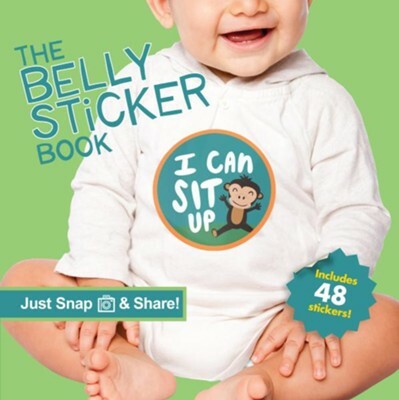 Now comes the very first book of belly stickers - a great way to capture and share all of your baby's firsts, from important holidays and milestones to month-by-month anniversaries and just-for-fun moments. Simply peel off the sticker that celebrates your baby's milestone and stick it to your baby's chest. Then snap an adorable photo and post online for everyone to ooh and aah over. Includes 48 belly stickers. I'm the author/artist and I want to review Belly Sticker Book.